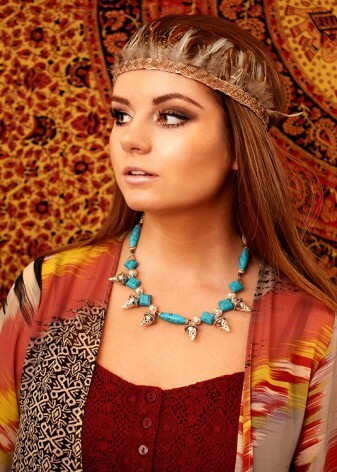 EDIT OR BUY TIGER EYE SPIKED COLLAR. 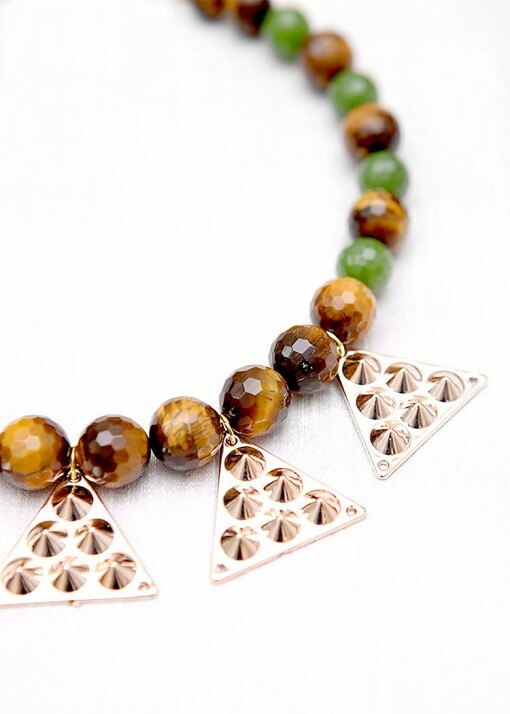 A bespoke, modern take on the tribal trend in natural and opulent hues. 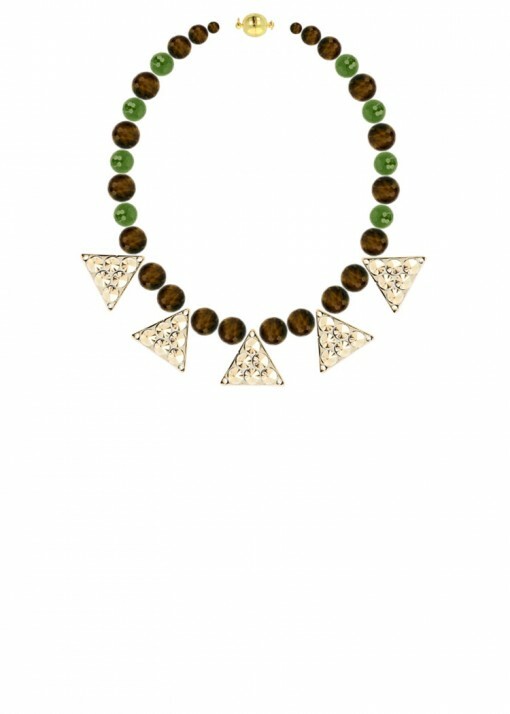 This Spiked Collar is beautifully bohemian, with geometric fashion elements for contrasting styles. 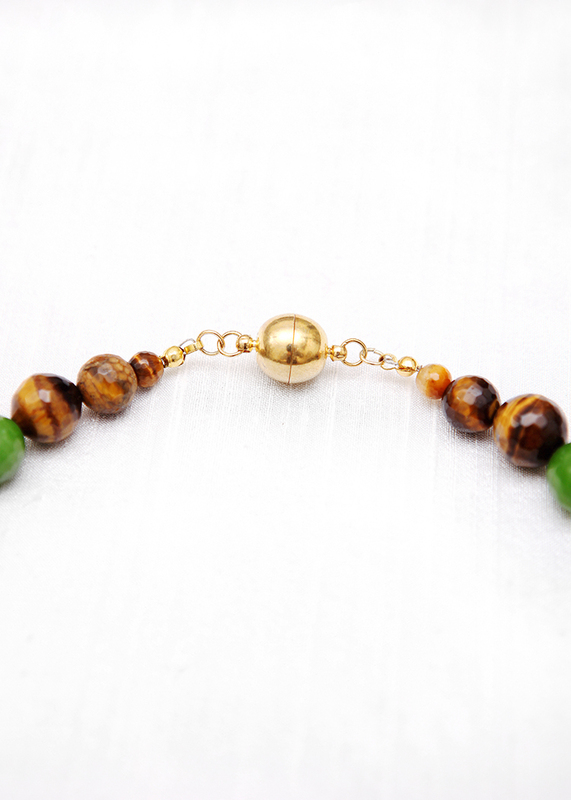 Semi-precious olive green agate and tiger eye have been hand strung to create a unique beaded collar necklace, adorned with urban studded triangular charms in polished gold for an added contemporary edge. 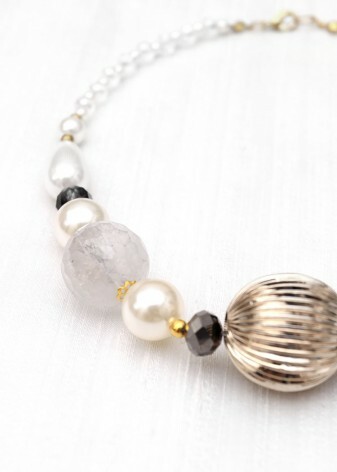 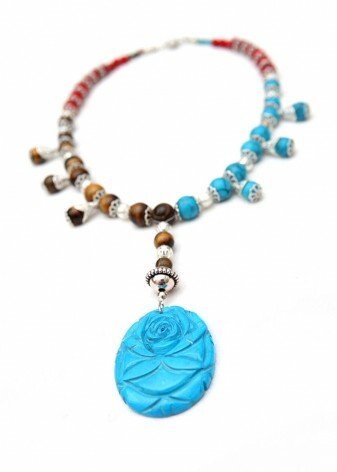 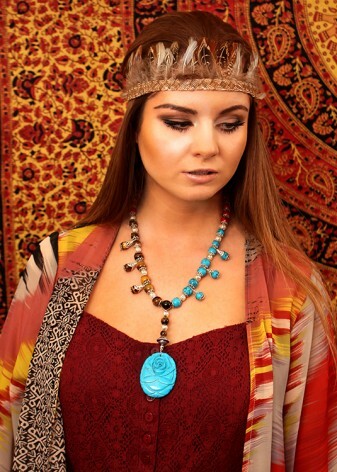 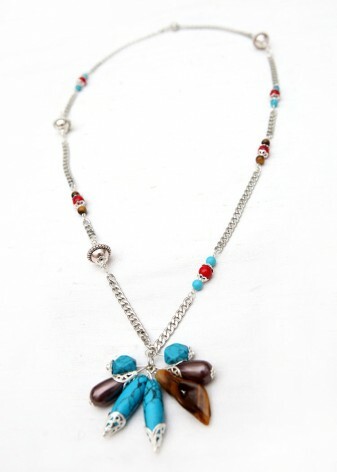 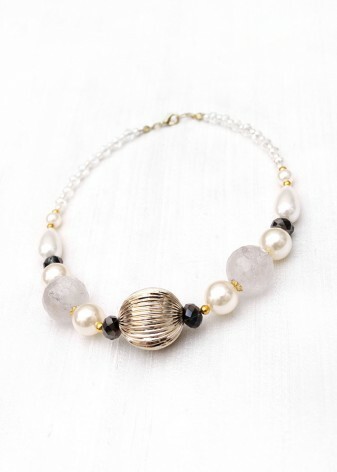 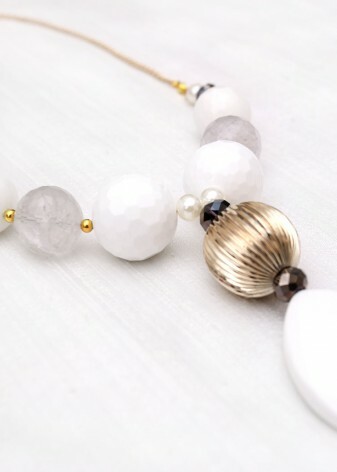 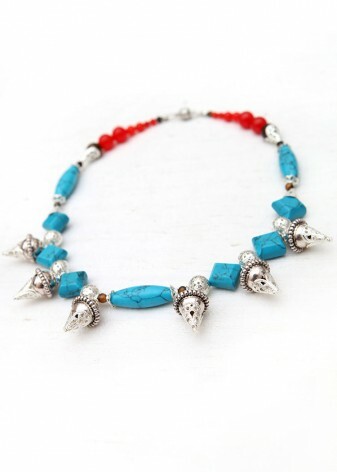 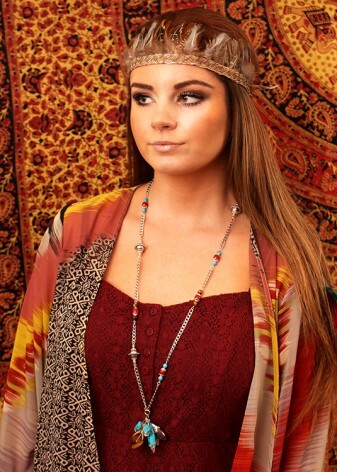 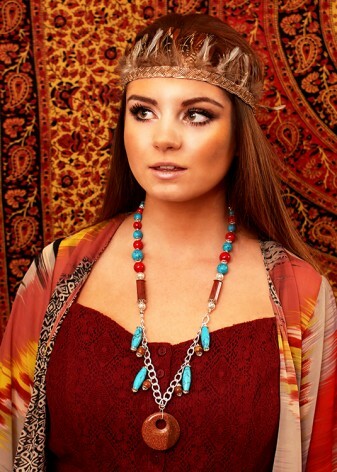 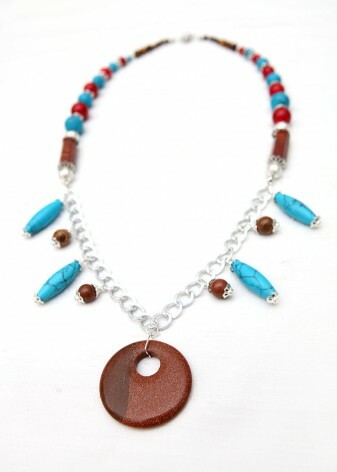 This striking piece transforms boho style, adding hints of punk luxe that suits a band tee or a holiday dress. 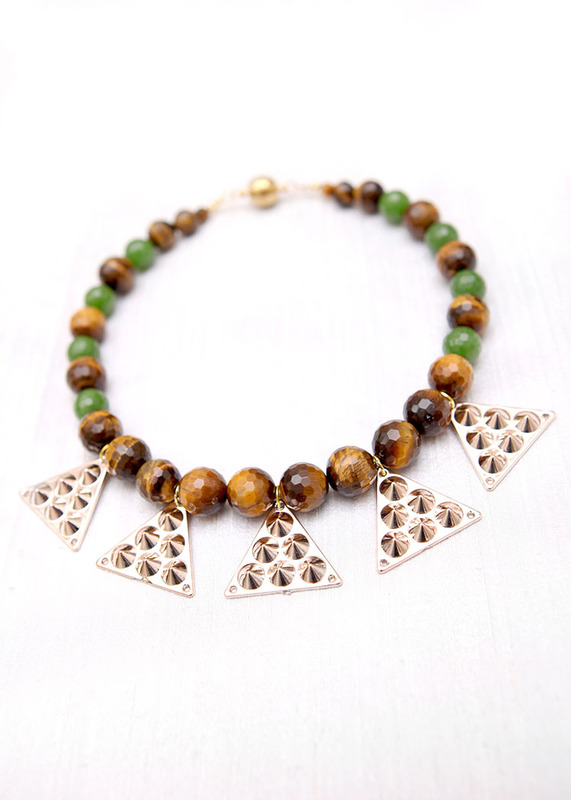 Customise our Tiger Eye Spiked Collar to enhance the original, individual design.